"Oh, Dakuwaqa!" 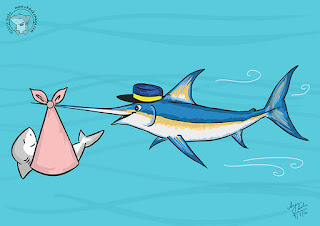 - The Shark comics and cartoons: Swordfish Delivery Service! A thought I was playing around with. I remember as kids most cartoons showed babies being delivered by storks. 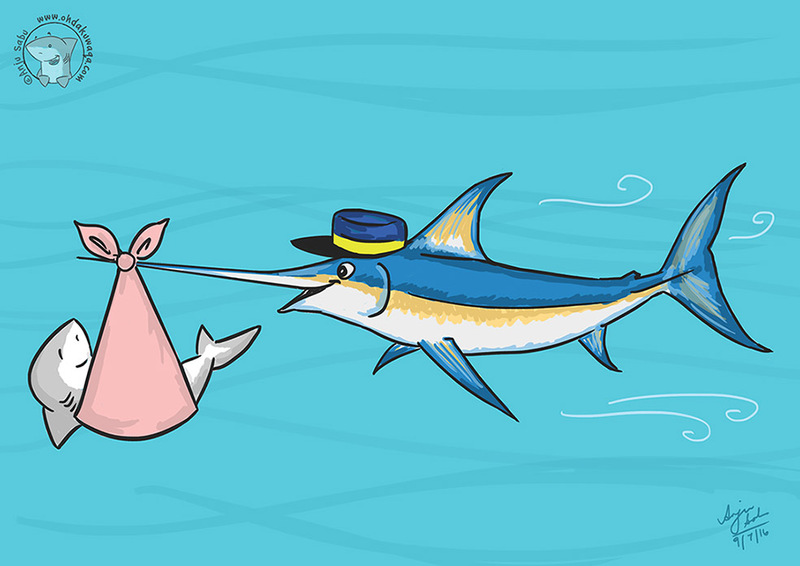 There aren't storks in the sea but there are swordfish! I'm not announcing a baby, FYI.